A clear handbag isn't necessarily the easiest accessory to pull off—it puts all your stuff on display rather than stashing it away from prying eyes, for one. If you're going to, say, an NFL or SEC game (where stadium regulations require clear plastic, vinyl, or PVC bags), well, that's kind of the point, but the style has legs well beyond football season. 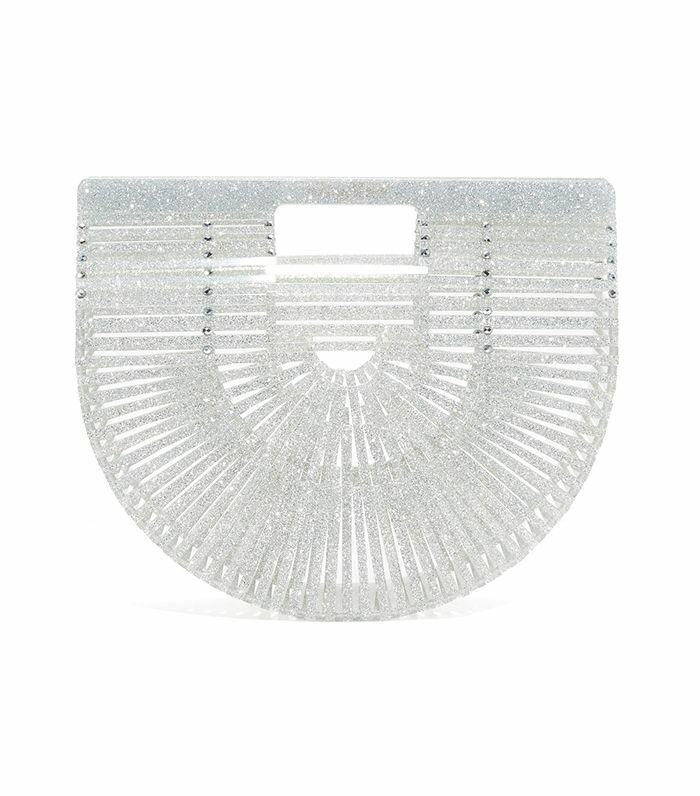 Several designers have rendered their signature handbag silhouettes in transparent materials recently, from Loewe's Puzzle bag to Chanel's iconic 2.55. They've been hits among the street style set, both for the striking bags themselves and for what's inside. Fashion people tend to choose what they tote strategically: cool cell phone cases, fun pouches, trendy sunglasses, and cosmetics with pretty packaging tend to be favorites, along with the invites to whatever shows they're hitting next. Below, shop 13 see-through bags to carry this fall. 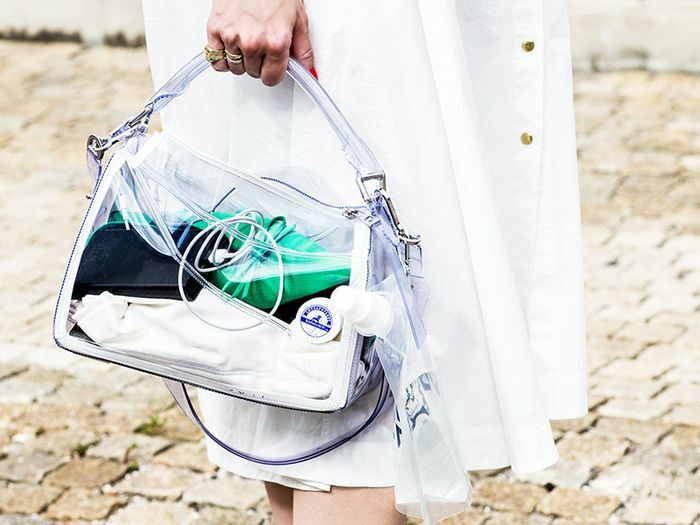 Instagram's favorite bag is as see-through as it is stylish. A juicy-red backpack to carry all day long. There's something space-age about this electric green tote. The opaque pouch is perfect for storing valuables. This smoky hue is super sophisticated. Yes, those pearls are part of the bag (it's Margiela, after all). Crystal clear for a night out. This one doubles as a beach tote for your next vacation. Just enough space to haul all your essentials. Yeah, we want to Instagram this adorable tote too. The waterproof design means you don't have to panic if it starts drizzling while you're carrying around your laptop. With both clear and opaque compartments, you can choose what to put on display. Charlotte Olympia's feline accessories are fan favorites, and this fun tote comes with a card slot and a built-in pouch. Up next, see the cult '90s bag Kate Spade is bringing back this season.